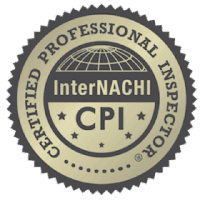 AmPro Home Inspection prides itself on providing excellent and quality inspections for home buyers and home sellers in Colorado Springs. In order to maintain our high standards and quality of service we also provide a sewer scope service as an option for our customers. When buying a new home it can be an anxious experience especially when considering the risks associated with a blocked or damaged sewer line. Our sewer scope service helps alleviate those anxieties and provides our customers with the confidence to purchase their home. We provide a great fully contained system to check your home’s sewer line connection. When AmPro Home Inspections arrives at your potential home we’ll use the main sewer clean out to check on the drain pipe that flows away from your home and out to the main sewer line. If we cannot find the main clean out we can always use the lowest towel on the home. Once we have located the low point we send a camera system and check the sewer line. The camera allows us a real time view of the situation and will allow us to check the line and deliver a professional opinion during our visit. Be sure to schedule your Sewer Scope with AmPro Home Inspections. We will help you find the confidence to purchase your new home or give the proper insight on the condition of your home that may make your reconsider the deal. Buying a home isn’t easy but with AmPro Home Inspections you can be sure the best inspection is at your fingertips. Schedule a Sewer Scope Today.